I gleaned the following thoughts from a timeless and needful MP3 sermon by Pastor Jack Hyles (1926-2001) titled, “HOW WE GOT GOD'S WORD?” (in this sermon Dr. Hyles rightfully exposes Bob Jones University for corrupting the Word of God). 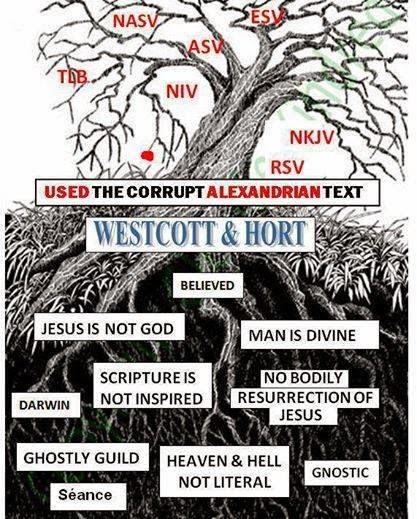 Beware of any false prophet who teaches that we have no perfect, inerrant, infallible, inspired, preserved English Bible. Bless God, we have that inspired Bible in the KING JAMES BIBLE. God used holy men (that is, men set apart for God's use) to give us the Words of God. God gave men His very Words, not His thoughts, to holy chosen men of old. God did not give His Words to these men to give us; but rather through these men. The Words God gave bypassed the brains of those sinful men. There's no man in this world righteous enough to be able to take the Words of God almighty and be the custodian of those Words and get those Words to us. Man did not decide what he wrote; but rather, the writers were pens, and God was the Penman. Moses was a murderer. David was an adulterer and murderer. Paul was a murderer. God did not trust those mortal creatures to give us God's Word. Are you going to trust a whoremongering man like Solomon who had 700 wives and 300 concubines to give us the Words of God? No way! God used Solomon's mouth, not his brain. David said he was not the penman; but rather, only the pen for the Lord. Most of the men who wrote the Bible didn't even know what they were writing when they wrote it. The Words of the Bible were not given to us by a man named Moses who killed an Egyptian, nor by an adulterer and murderer named David, nor by a Christ-denier named Peter; but rather, by the God Who penned them. God is the Penmen, and the men whom God chose to give us the Bible were mere pens. God PROMISED in Psalm 12:6-8 to PRESERVE His Words unto every generation, because we need every Word of God to live as Deuteronomy 8:3 and Matthew 4:4 teach. We have those inspired and preserved Words in the precious King James Bible. SOURCE: Pastor Jack Hyles, from the excellent sermon WHEN SATAN IS AT HIS WORST. DO WE HAVE AN EVERY WORD BIBLE IN 2017? “You'd be shocked if you knew, how the versions of the Bible that are coming out, which are so unnecessary and not even Bible—You'd be shocked if you knew what they're doing to cause Christian people to feel subconsciously unstable! You'd be shocked if you knew what it's doing to the nervous system of our people—All these Bibles!” —Pastor Jack Hyles, MP3 sermon, Don't Chase The Pendulum (1986). The King James Bible Defended | King James Bible ONLYISM!